The Shure Beta 181/C small diaphtram side address condenser microphone has a cardioid pickup pattern for a broad frontal pickup and excellent off-axis sound rejection. Like all Shure Beta 181 microphones, the Beta 181/C has an optional switchable electret condenser capsule (bidirectional, supercardioid, omnidirectional and cardioid), so you can pick additional polar patterns to suite your application. 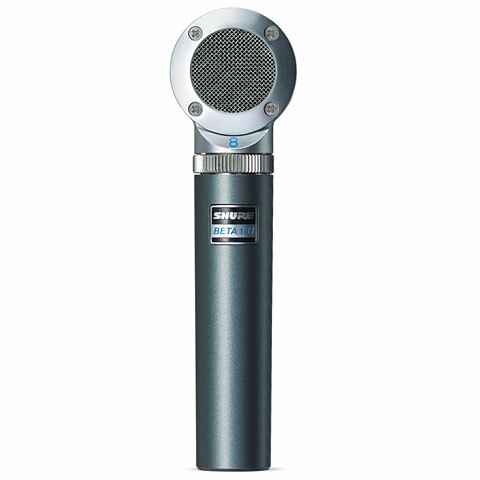 The Shure Beta 181/C microphone is ideal for drum overhead, snares, pianos, acoustic instruments, and M/S stereo recording when combined with a Shure Beta 181/BI. 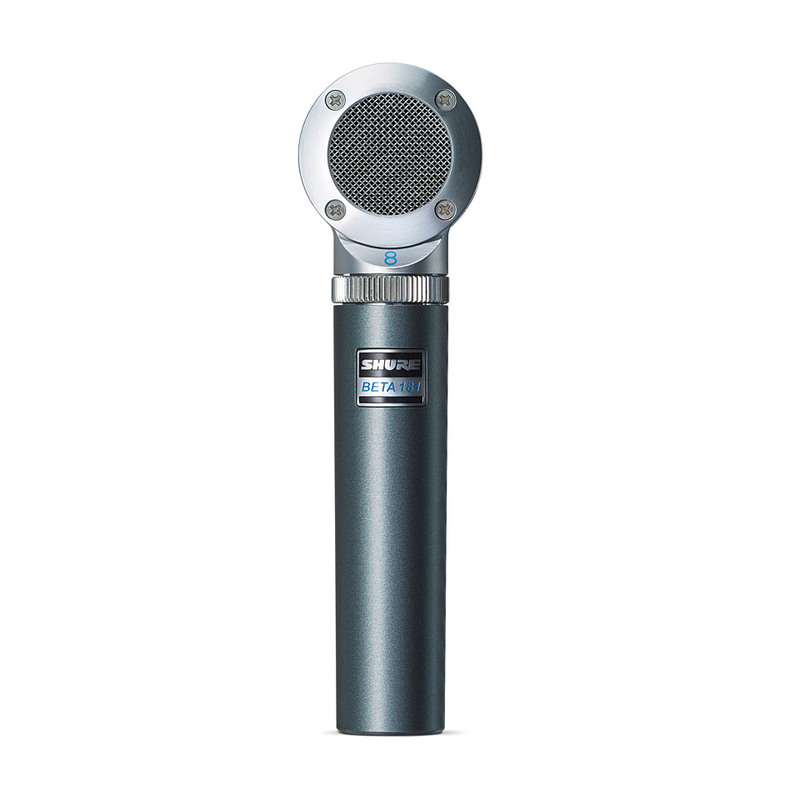 There are four different capsules available for the Shure Beta 181 microphone: 181/C cardioid, 181/S supercardioid, 181/BI bidirectional, 181/O omnidirectional. This makes the Beta 181 an extremely versatile and cost-effective microphone that allows the user to interchange capsules according to the application. Additional capsules sold separately. Ships with microphone clip, zippered carrying case, and windscreen.